Swiss start-up PlantCare has successfully developed an intelligent, self-learning irrigation control system. Experts believe this innovation can achieve the same or even higher crop yields while consuming less water and, at the same time, help combat the increasing shortage of water. 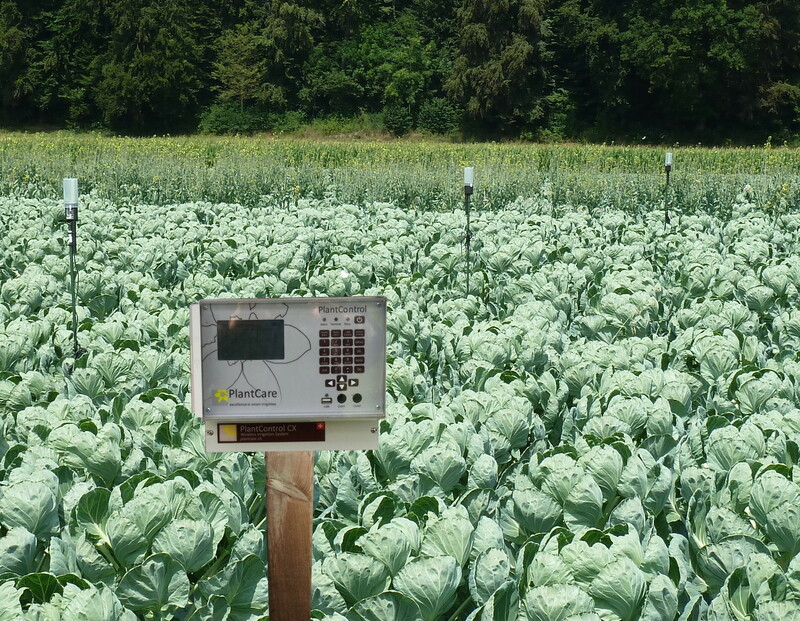 Professor Rolf Krebs, Zurich University of Applied Science: "Experiments show that the PlantCare technology represents a new milestone in irrigation technology and opens up new opportunities." Farmers usually irrigate their fields by experience and feeling, which results in huge water losses and often even poorer yields. PlantCare's unique control system automatically determines the correct time for irrigation as well as the amount of water needed by plants. Novel wireless sensors continuously detect the relevant soil moisture level and transmit the values to a central computer. The soil moisture values are converted by the computer into the amount of water that can be absorbed by the plants. This avoids stress caused by too much or too little water - and the plants are healthier. The result: increased crop yield and reduced pest infestations. Since over-watering is automatically prevented, no chemicals leach into the groundwater. The system automatically recognizes changes in water demand caused by seasonal climate conditions or increasing demand during the plants' growth phase. A control algorithm protected worldwide continuously adjusts the amount of water to suit requirements. This technology is already being successfully used by many farmers in Switzerland. All of the system's components are constantly monitored. Farmers are notified immediately of pump, valve or filter failures by SMS. They also have permanent Internet access to all data and can adjust the system's settings from their offices or by smartphone. Fields without irrigation devices can be monitored for soil moisture up to a radius of 30 km and if the soil moisture in a particular field falls below minimum requirements, it can be irrigated in time using a mobile watering system. An enormous market potential is predicted for this Swiss invention.